Paretetaitonga is the third highest peak of the Ruapehu massif. 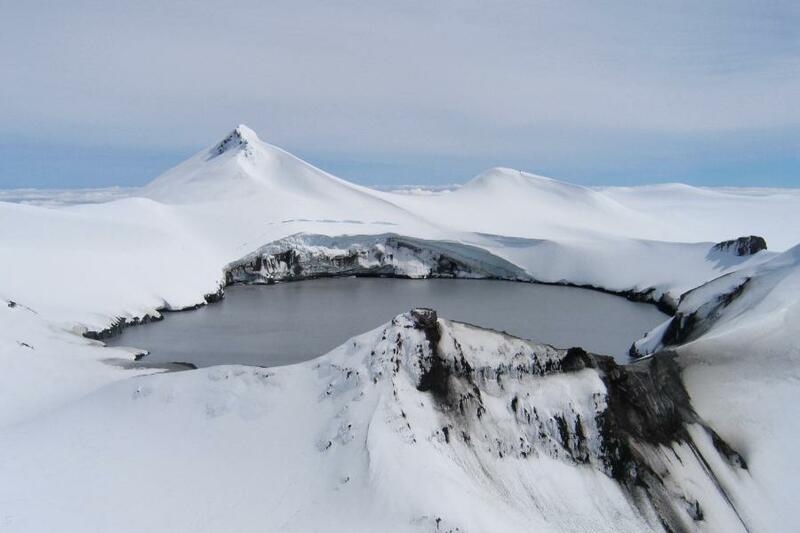 Its situation, in the centre of the mountain and directly above Crater Lake, makes it a ﬁne point from which to view the high peaks and crater of the volcano. Begin from either The Col (at the head of the Whakapapa Glacier) or Pare Col, to where the ridge narrows and steepens. Diﬃculties can be turned at ﬁrst to the south and later to the north. Direct up snow slopes from the glacier basin. A pleasant and airy climb, high above the mountain’s western slopes. Gain the ridge from above the top of the Far West T-bar on Whakapapa skiﬁeld. Climb direct from the Whakapapa Glacier to reach the upper North West Ridge.